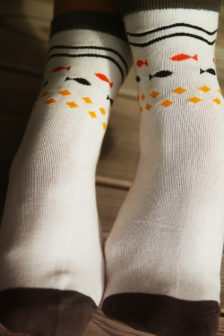 Socks with Fish can be found right here if that’s what you’re looking for. We think that it can be more difficult to bond with a fish than with a dog for example. But that’s just our experience, and we might think that because we’re not olympic swimmers. 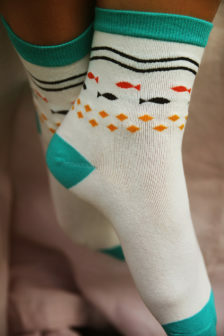 But we stay strongly positive to fishes on socks, it look cool!